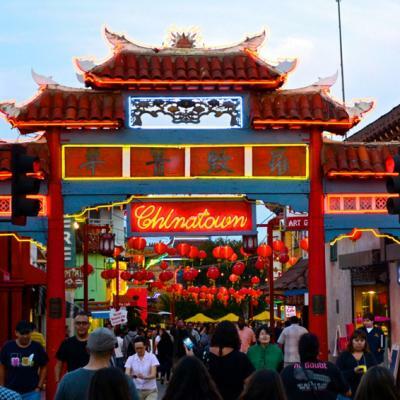 Chinese New Year isn’t the only time of year when Chinatown sizzles. In fact, the dragon and lion dancers get quite restless during the height of summer and come out to strut their synchronized stuff. And, yes, firecrackers will burst by the thousands (even before the Fourth of July) while Chinese acrobats perform superhuman feats. Other attractions at Saturday’s Chinatown Summer Nights include KCRW DJs to move the crowd on the dance floor. LA Weekly hosts a live music stage featuring local bands as well as two special Taiwanese rock bands Tolaku and Quarterback appearing together for the first time in North America. Oh, there’ll be a monkey too—all going on in Chinatown’s Central Plaza from 5 p.m. to midnight. 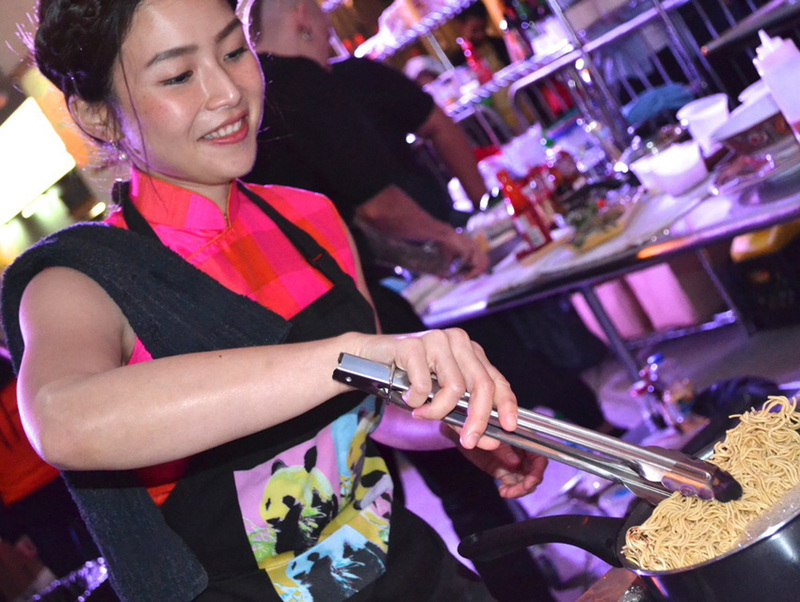 Hope to see you at the Culinary Stage for music, fun, and food! Who needs the beach when the heat is on all night at Chinatown Summer Nights. Did I mention there’ll be a monkey? Public transportation to event is highly recommended.